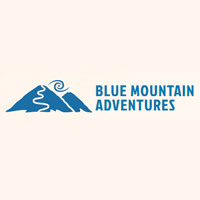 Blue Mountain Adventures offers camping at Explore Park; camp right off the Blue Ridge Parkway in a primitive site, canvas tent or tipi. Canvas Tents: These 14’x16’ tents are constructed on a custom made wood platform with an extending rain fly over the 16’x24’ deck to keep the elements off. Each tent sleeps up to four and comes with a queen bed and 2 single cots with plush padding for comfort. Canopy Camping: Elevated platforms with canvas flies will be constructed for a unique “in-the-trees” camping experience. Tipi Tents: Measuring 16’ in diameter, these platform elevated canvas tents will board two adults and a child or two. Primitive Camping: Come pitch your tent; it’s not a bad way to kick back. Book a campsite at Explore Park. Guided day hikes and camping trips in and around the Roanoke Region of Virginia. Hike beautiful trails during the day, stay in your hotel at night, 0r turn your adventure into an overnight camping experience.